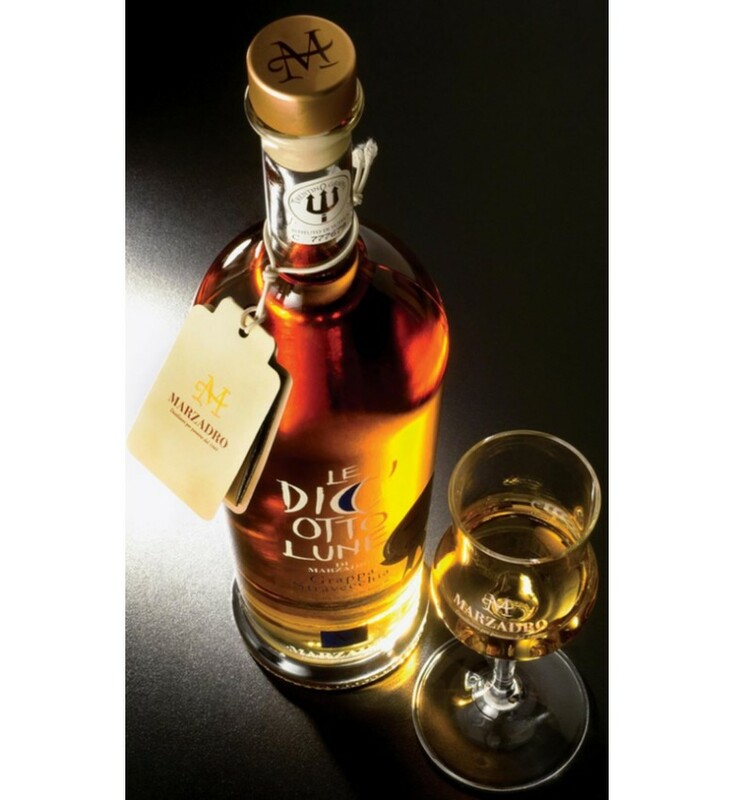 Grappa Stravecchia emblematic of the culture, care and art of distilling. 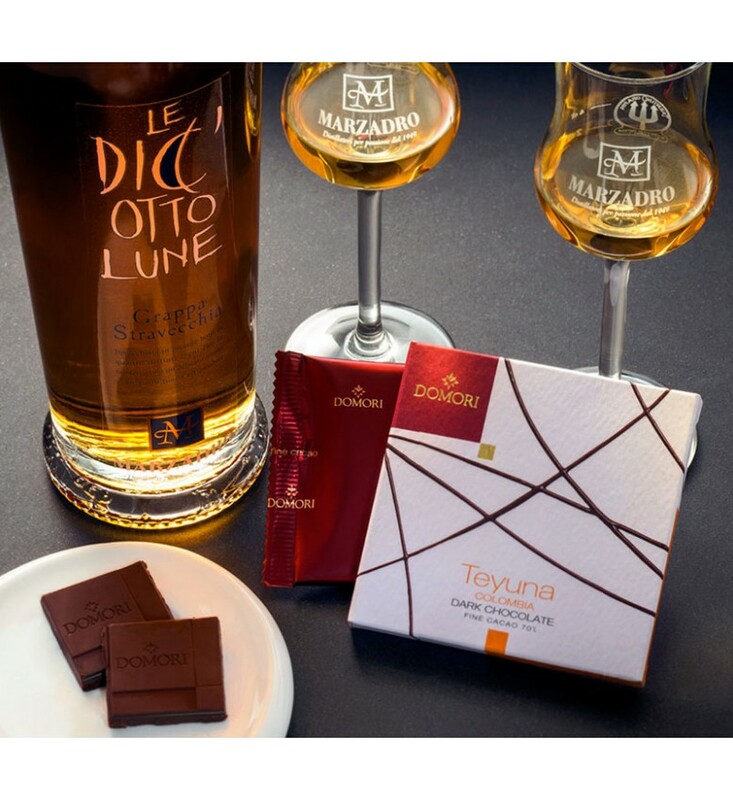 5 marcs of Trentino grapes: Marzemino, Teroldego, Merlot, Moscato and Chardonnay; distilled from a water bath into pot stills, aged in small barrels of Cherry, Ash, Oak and Robinia, each imparting its own characteristics of fragrance, aroma, colour and flavour. 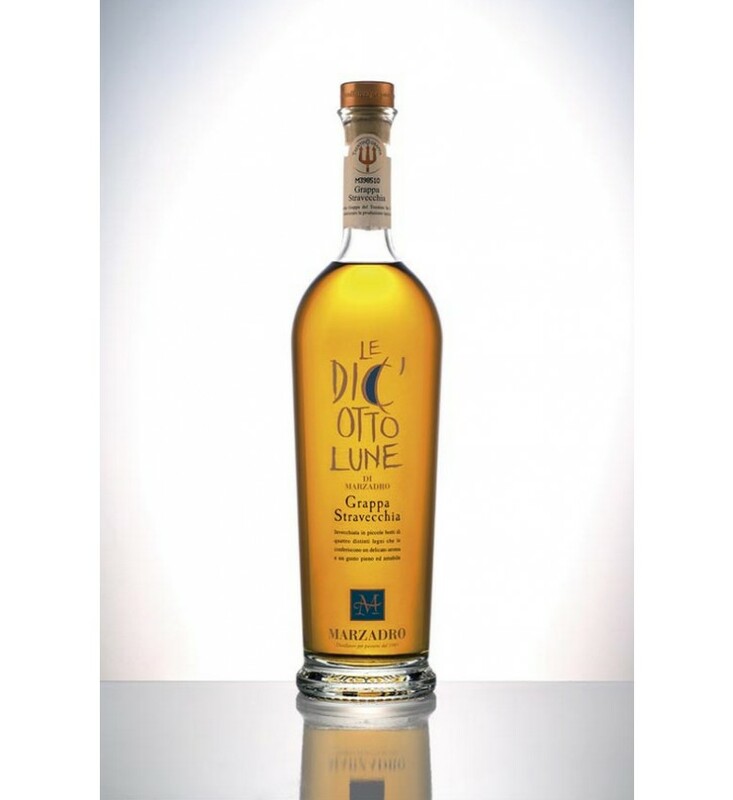 The ageing time follows the rhythms of nature: from moon to moon over 18 months. The bouquet becomes intense; it becomes more ethereal and harmonious. 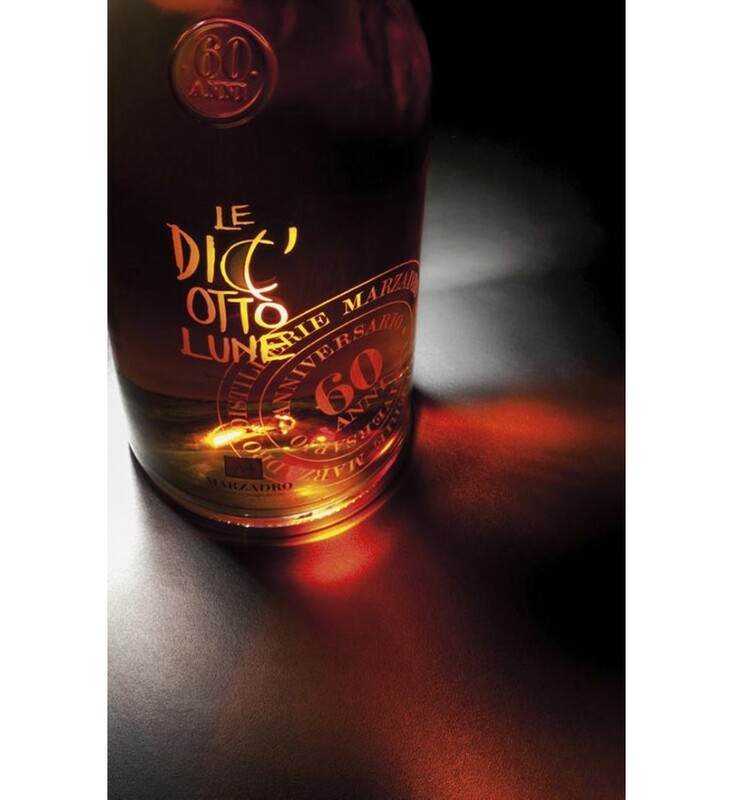 The taste loses the initial angularity and becomes rounded giving a perception of elegance and silk on the palate. The colour takes on warm amber tones. 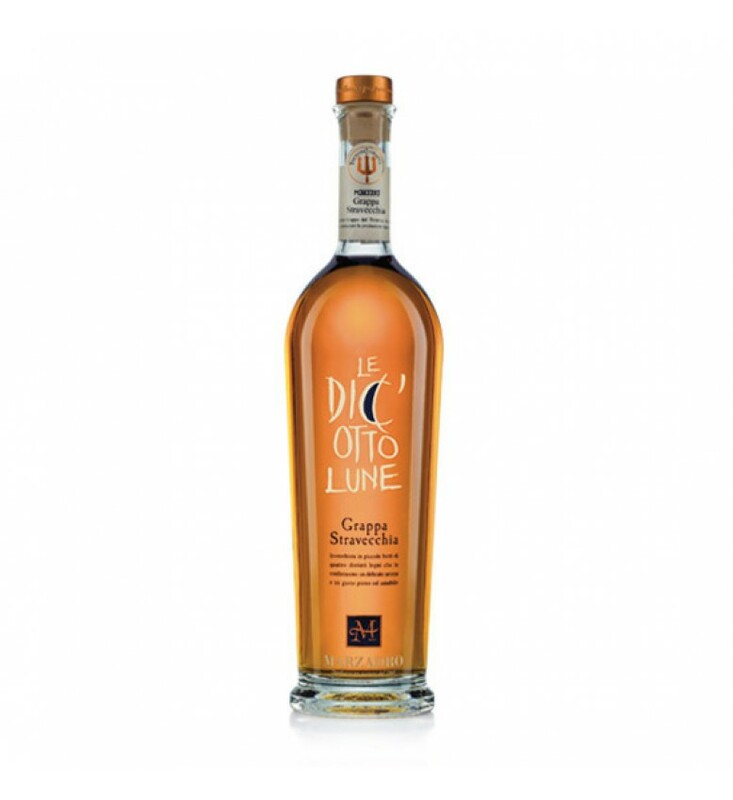 The Master Distiller continues the maturation until the ideal blend and harmony between wood and Grappa is achieved. 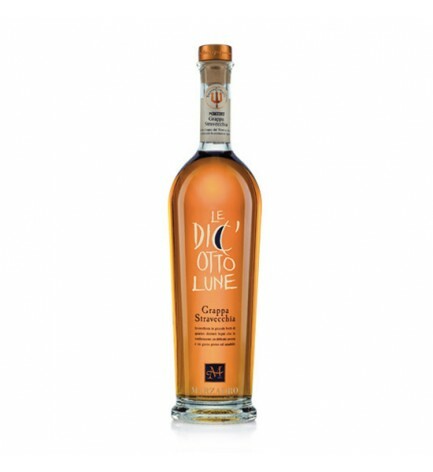 Thus the Le Diciotto Lune Marzadro, refined Grappa for sipping, is made.